The marketing budget is the company's expenses for market research, information communication with customers and ensuring the competitiveness of the product, as well as the organization of product distribution and product marketing network. It is very important to plan your marketing budget correctly. The allocated funds for marketing allow you to regularly and quickly pay current bills. However, without marketing planning based on the specific objectives of the business, it is difficult or impossible to achieve the desired result. Success cannot be measured without goals; it's like throwing a basketball into the basket, not knowing how many points will bring victory. Make sure you understand what your goals are. The result is the foundation of any budget. What do you want to achieve in terms of the money spent? Will there be enough predictable revenue to cover the company's current expenses? What level of return on investment in marketing do you plan to go out by year? Business growth measured by total income or sales revenue. It will be difficult for you to sell your services if you do not know who your customers are. The client profile is the basis for choosing communication channels to convey your advertising message to the buyer. Who do you sell your services to? What are the real expectations of customers from the transaction? Does your service meet these expectations? The term “client profile”, used by many marketers, means that you need to understand the type of person your market attracts. The night club will attract young people with money so that they can spend it. Skin care products will mainly attract women of a certain age who want to keep their skin smooth and soft. There are many more examples; you should consider as much as you can. Now you know your goals and your target audience. So what's next? An important criterion for the budget is the cost of each customer associated with the projected income from each customer. How much will each client cost? What is the size of the budget for acquiring new customers to achieve the volume of planned sales? If it is difficult to estimate the potential profit in terms of how much you can attract customers, set limits on marketing expenses. For these purposes, a key indicator of the effectiveness of CRR (Cost Revenue Ratio) is suitable, with the help of which you set the upper limit of the marketing budget, depending on the projected revenue. The first step in understanding how to plan your budget effectively is to understand what a marketing plan should lead to. Simply put, marketing should drive sales. Forming a marketing budget begins with annual corporate planning. This process is based on the existing business plan, which allows you to distribute the money by month. It is important to carefully study the company's costs and compare them with the forecast of future sales. The financial performance of a business plan ultimately determines the size of the budget for marketing. 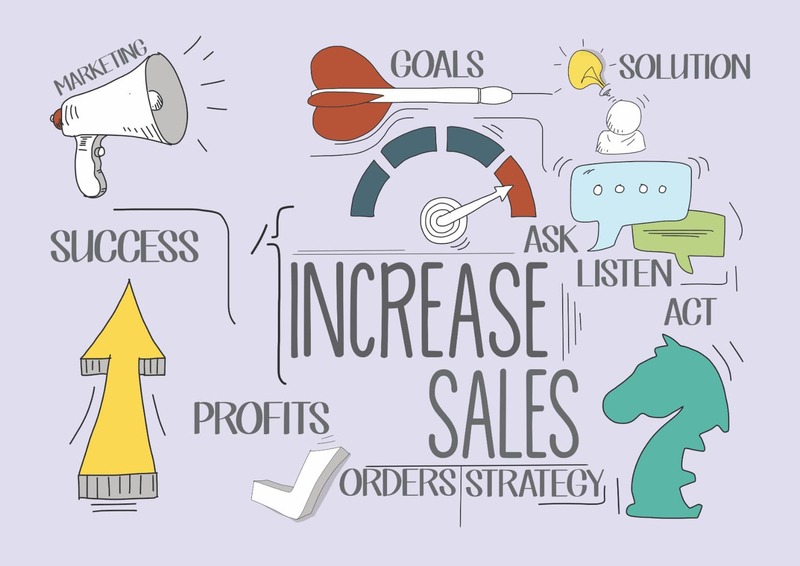 companies at the stage of rapid growth (revenue growth of more than 50% for the year) the budget can be calculated at 15-25% of the projected sales. Naturally, marketing expenses for accounting will be considered overhead. Indeed, if a marketer forms a marketing budget for a fairly stable annual business plan for a company, any employee will consider marketing as a cost. However, effective marketers understand that this is an investment! Marketing should have a direct impact on the product line and value proposition, promote the growth of the company's revenues. Consequently, the marketing budget should be considered as an investment process, and make an assessment of its effectiveness at the rate of return of funds for each invested dollar. Having determined the number of available funds for the implementation of the marketing plan, it is advisable to distribute them taking into account the effectiveness of the company's sales channels. There is an unshakable rule: first of all, it is necessary to support those channels that are able to provide the maximum return on investment. It is permissible to use different methods of distributing the budget for marketing, for example, taking into account different geographic points of sale, the demographic data of customers or by the time of day, precisely when buyers are looking for the services they need. A multi-channel marketing plan involves using online and offline communication channels with your customers. Such a marketing plan is designed to support the strategy and create a financial framework for the limited resources necessary to achieve the intended goals. The goal of multichannel is to increase the effective reach of potential buyers and achieve sales growth. Therefore, it is advisable to structure the marketing budget through communication channels with the target audience. After that, to achieve the best indicators of return on investment, using various tactics. This approach can be recognized as a basic model. Setting a marketing budget for different channels of communication is always a big problem for any marketer. A dynamic market and an increasing number of competitors make it difficult to choose the most effective ways to reach customers. The transformation of classical marketing in the era of digital communications allows you to focus on the “customer journey” and on specific “touch points” that the visitor follows the path of becoming a buyer. The touch points are in essence and are basically communication channels through which the company communicates with its customers. Google Analytics will help solve the problem of monitoring clients' travels. Having set up goals for the sales funnel stages and tracking the conversion of the site, it is enough to determine which of the communication channels lead to the greatest number of leads and customers. This allows you to control a significant part of the cost of marketing. In recent years, SEO and contextual advertising have become almost the only channels to attract customers. But we should not forget about other points of contact with the target audience. Diversification of marketing expenses is an important point of any strategy. You can not “oversleep” the emergence of new marketing communications with the client! The most effective marketing plans use up to 14 channels of communication. How do they interact with your communication channels? How do visitors turn into customers? Statistical data analytics systems allow us to estimate the dynamics of the number of sales and the quality of marketing. Regular monitoring and analysis provide an opportunity to focus on what works best for your business. The achieved intermediate results will allow abandoning those tools that do not provide an adequate return on the spent funds. The same marketing programs that are the “sales growth driver” need to be refined and redistributed to their own advantage of inefficient budget items for marketing. Developing a marketing budget is a creative process based on an understanding of effective communication channels with a customer of services. Internet marketing provides an excellent objective basis for corporate decisions, including the definition of marketing budgets. With the growth of automation of online marketing processes, the efficiency of planning and budgeting should increase. However, this positive process will be confronted by the growing complexity associated with the emergence of new channels of communication and marketing tools.